But it's a slow night, so I started to watch it just to see what a small-town politico from a rural district (district 2 in Oregon, which includes my home town in Pendleton ... an area larger than a couple of states!) might have to say. What I FOUND was an impassioned speech which not only addressed Citizens' Rights, but abuses of power on a national level. Who knew that the local boy could make good? "This is a government which has gone too far, for too long." "How do you have respect for a government which doesn't respect you?" "What possible good will come out of bankrupting a grandmother?" "We have to listen to the People." "Fighting a war ... and dying." Yes, I still detest politicians .. blood-sucking slugs on the testicles of the voters. But this speech, by this guy? I'm thinking MAYBE I should move back to Pendleton so I can vote for him. It has been a long time since I've actually appreciated a politician. Maybe there's a few of the "keepers" left. 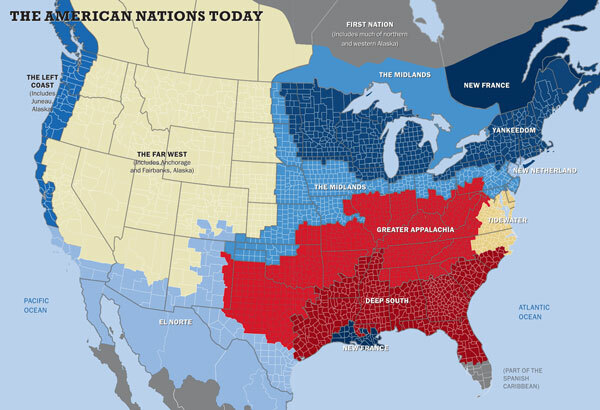 the author has divided the Continental United States into several regions, which exhibit common sociological perspectives. To these regional definitions, the author as suggested meme-like societal priorities (for want of a better word, which I'm sure will occur to me as soon as I hit "PUBLISH"). Perhaps the most striking aspect of this report is that the author doesn't make an effort to stigmatize populations based on their Second Amendment stance. Instead, he has some information to offer, and he offers it without a minimum of comment (other than to explain what we're looking at). Oh, go read it all for yourself. Politically Correct YouTube Wins Again Because .. They Can! I don't know much about this, except that "They Can"
My friend Matt alerted me to this today. 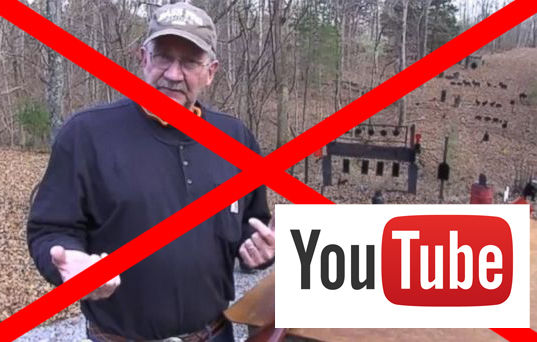 YouTube shut down Hickok45’s YouTube channel for “repeated violations of Google’s Policies”. I do not have any further information regarding this. At this moment there is nothing posted on his Facebook page. Hopefully Hickok45 will figure out what the problem is. I know many of us will jump to the “anti-gun” policies of Google. But let’s not make assumptions until it has been verified by Hickok45 himself. I last watched one of his videos last night; I think it was whether or not a filing cabinet would stop a bullet. I have no idea why YOUTUBE would cancel his channel, except that they have some kind of political pressure to discontinue hosting firearms-related posts. Nope. That's working. 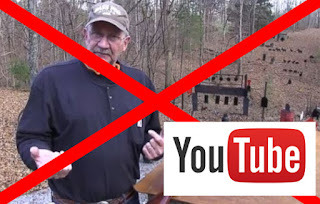 Apparently YouTube isn't discontinuing ALL Firearms-related videos. "The Inquisition Is Strong, Here"
She took them at their word, assumed "Liberal" meant that the college was willing to accept "liberal" view points. And now they threaten her with either revocation of her tenure, or with a coldly dismissive of removal from her academic position. Why do I distrust Liberals? A professor at a Chicago-area Christian college said Wednesday that administrators were wrong in taking steps to fire her after she asserted that Christians and Muslims worship the same God. Larycia Hawkins told reporters she met with Wheaton College administrators several times and provided statements explaining her beliefs, which she believes are line up with the college's mission. She said she was initially told further discussion wasn't needed but college officials then changed requirements, saying her tenure would be revoked while she would have to participate in two years of conversations. Why would this even be an issue at a "Liberal Arts" College? Oh. I see it now. "Evangelical Protestant Christian" and "Liberal Arts" are terms challenged by this situation, and the whole "LIBERAL" thing loses. Me? I'm a Conservative ... and judging by the implied definition of the word "LIBERAL", there's not a Liberal bone in my body. So the president has decided that he’s going to take “executive action” on gun control, and naturally he had to give a big self aggrandizing speech to announce his intentions to the world. It’s impossible for this guy to open his mouth on guns without telling some whoppers, so let’s have some fun and count the ridiculous lies he and his administration are pushing today. We need the wide majority of responsible gun owners to join us to demand something better ("All of us need to demand a congress brave enough to stand up to the gun lobby's lies".) A lie not because Obama's statement of intent is inaccurate, but the statement implies that "responsible gun owners" consider Obama's definition of "Something Better" ... further restrictions on responsible gun ownership ... to be an admirable goal. The thing is ... Obama's latest and greatest pitfalls for legal gun owners requires us to be what we are not; and if we are not, then we shouldn't be. But still, we are, and we should. You see? So, what is "an executive order"? Can the President impose one arbitrarily, without oversight from the Legislative Branch? Presidential Executive Orders can NOT be imposed (or "carry the force of law") if Congress does not agree that the context of the Executive order agrees with the content and intent of the Constitution. Which is to say that the Presidential Executive Order is NOT LEGAL if it is not "Constitutional". Now, if Obama's intent is to "... require some unlicensed gun dealers to get licenses and conduct background checks on potential buyers ....", then perhaps he should look at the existing administrative barriers which prevent individuals from qualifying for a 'gun dealer license. There are many people who would sell a 'large volume' of firearms, but who would not currently qualify for a dealer license. Is this a "Catch 22"? And just what constitutes a "Dealer", anyway? Is the criteria for definition of a "dealer" the volume of business conducted by an individual? If so, is it the volume in terms of Number Of Firearms Sold Per Anum, or is it the Cash Value of Firearms Transactions Per Anum? This is a grey area which has been conveniently allowed to endure for decades, by the government; and we can only guess why they have been reluctant to resolve the issue. Our President seems to require those of us who would sell even a minimal number of firearms (not defined in federal law) to register as "Dealers", but he/they will not define the term for our edification. Mister President! Mister President ... one question, please? "... Shall Not Be Infringed" ? Jihad Coming To The West? Not "if", but "WHEN"
Last but not least, I highly recommend against “nation building” or any other military involvement of Western powers in the middle east. I have objected to the wars in Iraq and Afghanistan from the very start, knowing that no one can reform Islamic societies other than Muslims themselves, and that this may take centuries to unfold. Instead I recommend containment. In other words, closing the borders, reducing all interactions with Islamic countries to the bare minimum, and investing resources in finding alternatives to middle eastern oil. This is an extensive, and detailed summary of the problem of Jihadi's infiltrating Europe (and America). I recommend reading.